1. 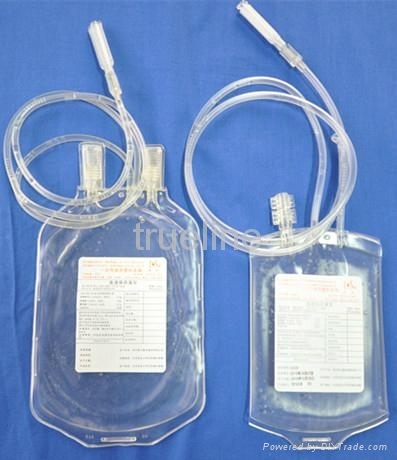 Disposable Blow-extruded PVC blood bag. 2. Sterilized by steam, non-toxic, pyrogen-free. 3. Single, double, triple, quadruple. 4. Filled with anticoagulant solution or empty. 5. Primary Bag capacity available in 150ml to 500ml. 6. Satellite Bag capacity available in 100ml to 450ml. 7. 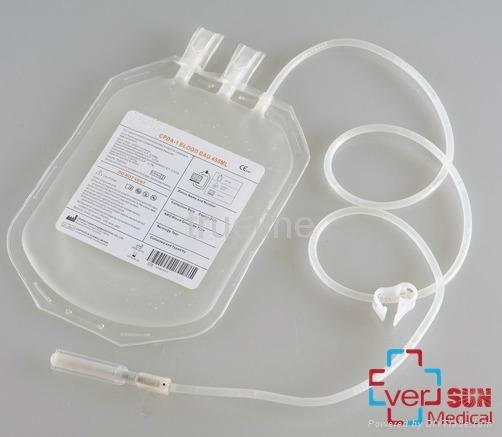 Donor needle gauge size: 16G to 17G. 8. Package: Each set packed in one PET compounded vacuum pouch, 3 to 5 sets packed in one lightproof aluminum foil compounded pouch, and then 30 to 50 sets packed in one carton. 5. 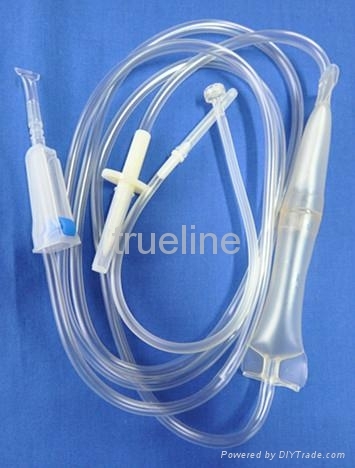 In-line Leukocyte Reduction Filter. 6. 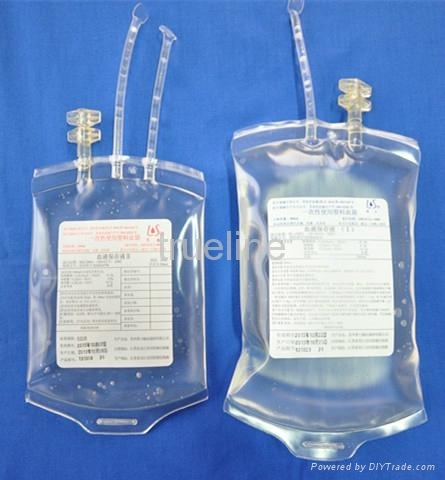 Platelet Storage Bag (platelet storage for 3 to 5 days or up to 5 days). 7. Type of outlet Ports (twist off or tear off). 8. Volume of primary bag and satellite bags. 9. Customise design is also welcom.